Ever since I started redecorating my bedroom, I've been bitten by the do-it-yourself bug. I recently hung my DIY mermaid art piece above my bed, but there was another section of wall space in my room that desperately needed some love. In order to add a personal touch as well as a bit of sparkle to my walls, I decided to make my own bejeweled picture frames to hang on the bare wall space. The frames were also a great way to tie together the two main colors (mint and coral) of my bedroom. 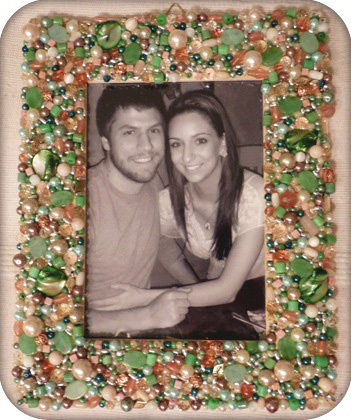 Here's how I made these beautiful bejeweled picture frames. Enjoy!! I decided to turn my photos black-and-white before having them printed; I didn't want the colors of the photographs to detract from the colors of the frames. Because the color scheme in my room is mint and coral, I bought jewels and beads in various tones of green and pink for my frames. I also bought beads in shades of silver, pearl, brown, and gold to add more texture and richness to the frames. 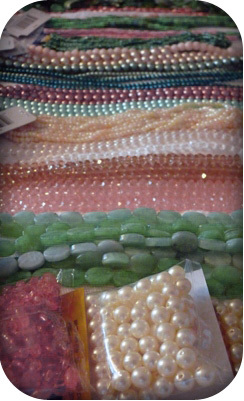 Don't be afraid to choose beads and/or jewels of all different shapes, sizes, and colors. 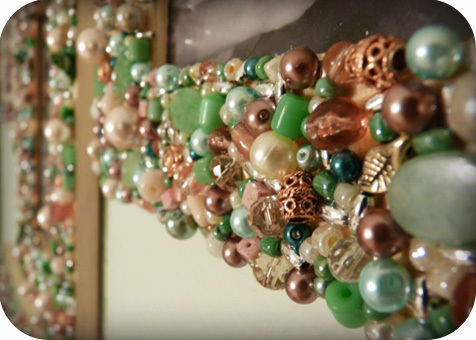 The more variety you have with your beads, the more interesting your frames will look! 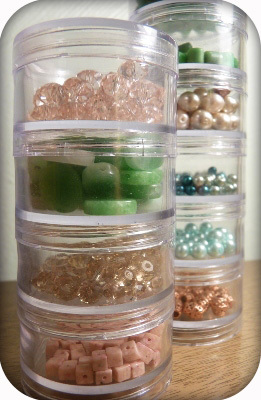 STEP 2: Separate your beads and jewels by size, shape, and color. OPTIONAL STEP 2.5: You may want to paint your frames so that you don't see the plain wood of the frame through clear beads, in the tiny spaces between some beads, on the edges of the frame, etc. I chose to leave my frames natural. STEP 3: Spread some glue onto a small section of one of your frames. Don't be afraid to add plenty of glue; your beads will just fall off if you don't use enough glue (trust me, I learned the hard way!). STEP 4: Place random beads in the glue. Don't worry about pattern or symmetry; the randomness of the beads is what makes these frames so unique! STEP 5: Repeat steps 3 and 4 until you've covered your entire frame with beads. STEP 6: Let your frame dry overnight, and handle with care while hanging them. I love how easy it is to customize this project for your unique needs. Are you going for a classy, sophisticated, feminine look? Then cover your frames in monochromatic pearls! 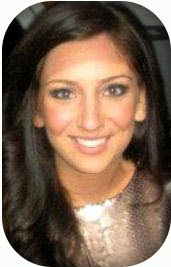 Or are you leaning toward a glitzy, glamorous look? Silver beads and rhinestones could be perfect for your frames. Or, like me, are you looking to incorporate a particular color palette into your decor? Choose beads within that color family, and you can't go wrong. The possibilities to tailor this project to your individual taste are endless!! 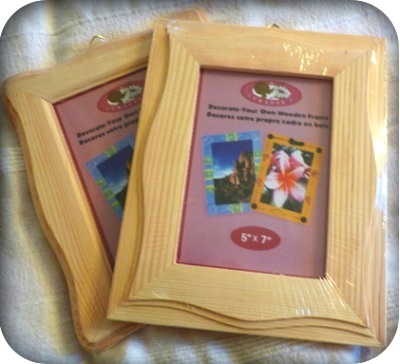 Also, a gorgeous home-made picture frame would be the perfect gift for someone special in your life: a relative, a friend, a bride-to-be, a new homeowner, .... Not only are these frames inexpensive to make, they're also personalized, one-of-a-kind, and made from the heart!